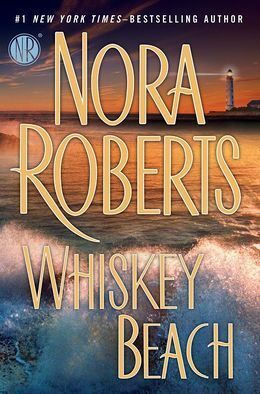 This isn’t one of my better reads of Nora Roberts. While the premise of the book is good, too much is put into making the characters different that I found Abra a little unbelievable. I liked that Abra was self-confident, but I didn’t think she’s was Eli’s match. Their relationship seemed a little too convenient and forced to be believable. They also felt more like friends than lovers. I didn’t actual buy it when they said I love you. And I think that’s what made the story not work for me. Other than that, I enjoyed Eli. I thought he was believable and strong. For a little while I became confused as to the who done it, probably before I DNF it. But when I came back to the book, I knew without a doubt who did it which was kind of a disappointment. I’m not sure why the police never really looked into that option. Yes, the one was focused on Eli. Still. Overall, I can’t really recommend this one. Nora has hundreds of books. Plenty that are really good. Why waste time on something a bit mediocre. Then again, give it a shot it you like. You may enjoy it more than me. Luke Daniels does a good job with the narration. My book boyfriend is Eli.